The fire, which spread north, has burned 118 acres and was 95% contained by Saturday morning, fire officials said. 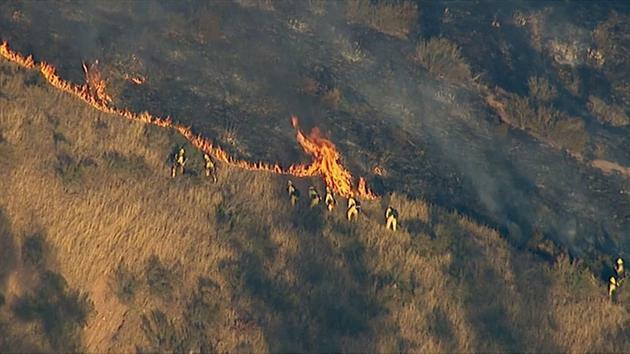 The dry, steep terrain has been a challenge for the 120 firefighters at the scene. A drone spotted in the area temporarily halted relief efforts earlier in the afternoon. A person thought to be the pilot of the drone was detained, but later released as it was a mistake. USFS & Cal Fire equipment committed. Update 6-25-15 2000: 85 acres, grass & brush, 0% contained.